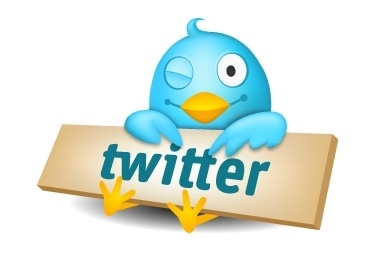 Data World: How To Get Rid of Twitter Follow Limit? How To Get Rid of Twitter Follow Limit? Are you stuck in twitter's follow limit? and You are not able to follow more people right? Here s why.You have entered the follow limit.That is,Twitter will ask you to maitain a ratio of 2:1 between your followings and followers.You have to maintain 2:1 ratio as soon as you follow 2000 people. This was done by Twitter to reduce Spam,unwanted followers etc. I am currently using 2 services which helped me a lot in removing those people who do not follow me back. Go to www.tweepi.com and login with your twitter account.Join as a Free User. You Can also become a paid user(optional).Being a paid user wont make much difference but its your choice.Most of the people dont want a paid account hence join as a free user. Click on the option "Flush Unfollowers"
Now you will get a list of those people who dont follow you back. Just click on all of them or only those whom you want and click the "Unfollow Selected" option. Now all those who dint follow you back are unfollowed. Hence you will be out of follow limit. This Service will automatically unfollow those who unfollow you. But if your stuck in a follow limit then i suggest you to use Tweepi first and get rid of those who unfollowed you and then sign up for Who Unfollowed ME. Hope this post has helped you to make your twitter account free from follow limit. Even after reading this post,if your still on follow limit then just tweet "#dataworld i am stuck in #followlimit" and we will help you within hours or by a day or two. @TS_WORLDWIDE and @Freddd1D are the winners of #dataworld contest number 1.Thank you guys for tweeting #dataworld and they will get 400 solo shouties each. Contest number 2 will be available in the month of may.And We will be giving 400 solo shouties for 4 twitter users. Lots of official news sources, networks, newspapers, etc. do not follow ppl, yet I want to follow them. The simplistic unfollow those who do not follow won't work for news junkies. Can i add other Ads along with Google Adsense?